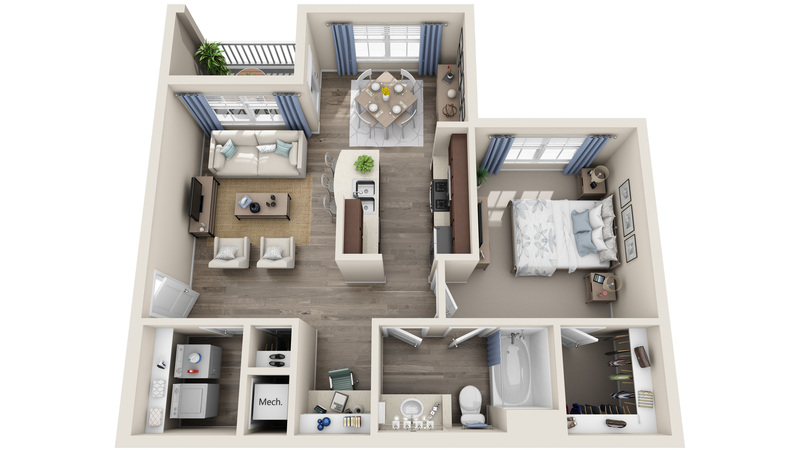 Each 3D Floor Plan is designed to look like your on-site unit and professionally decorated. 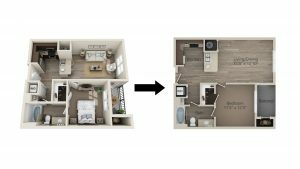 You will receive unlimited rounds of changes and a JPG and 4K PDF upon approval. 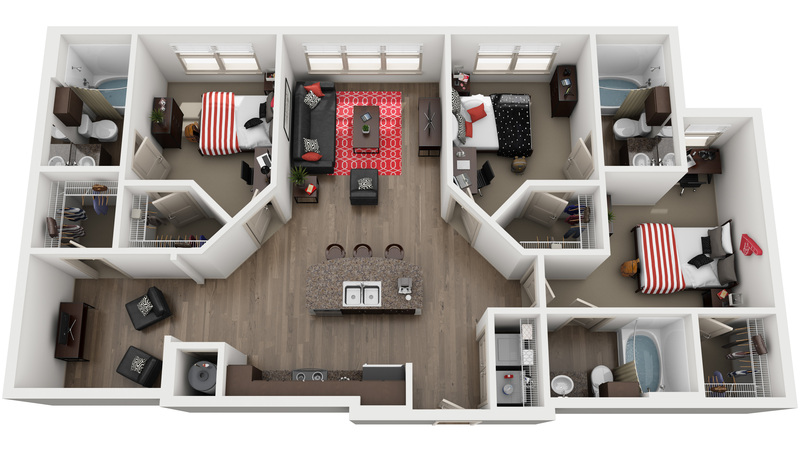 Each of your floor plans will be designed as a photo-realistic 3D Floor Plan. 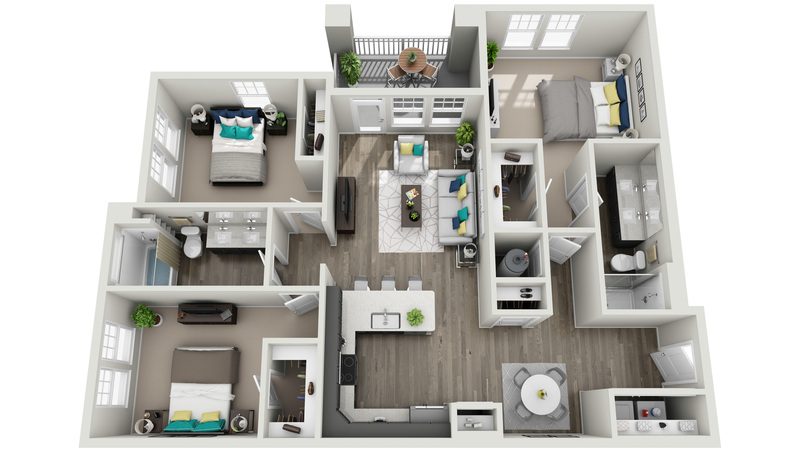 Property specific details such as kitchens, flooring, windows and bathrooms will be matched to the property using on-site photos or materials samples. 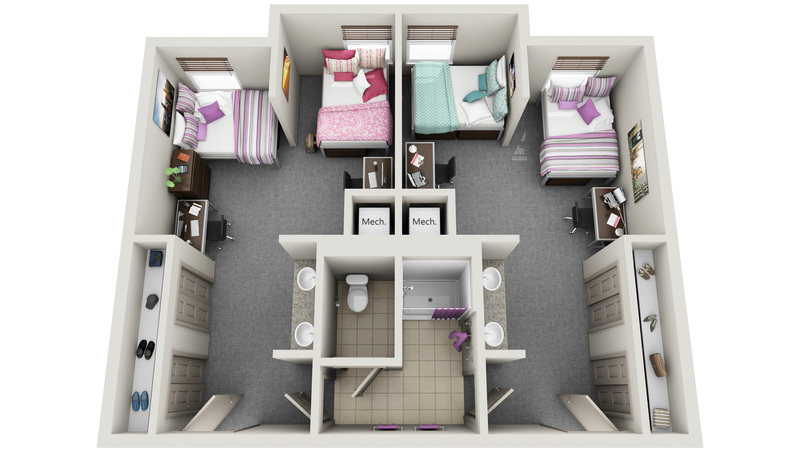 The rooms will be staged with your choice from the pre-designed furniture collections. You will then be able to review and make unlimited rounds of changes. 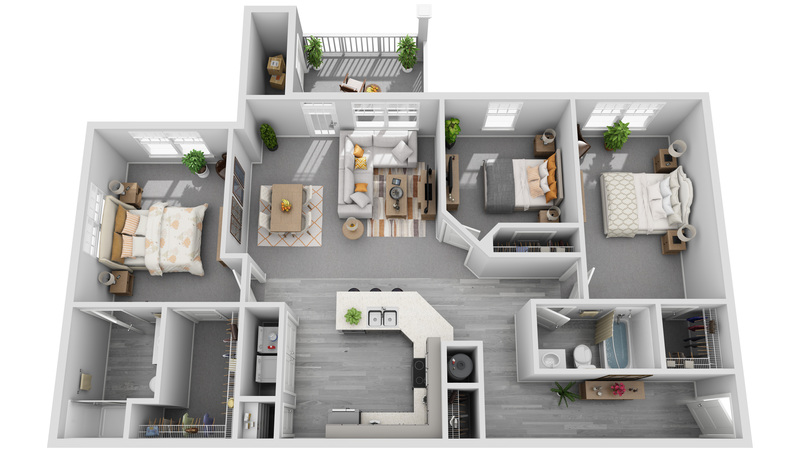 Once approved, the 3D Floor Plans will be available for downloading in JPG format for use online and in 4K PDF format ready to add to your print marketing. We use them all the time! Prospects love them. My Regional Manager loves them. 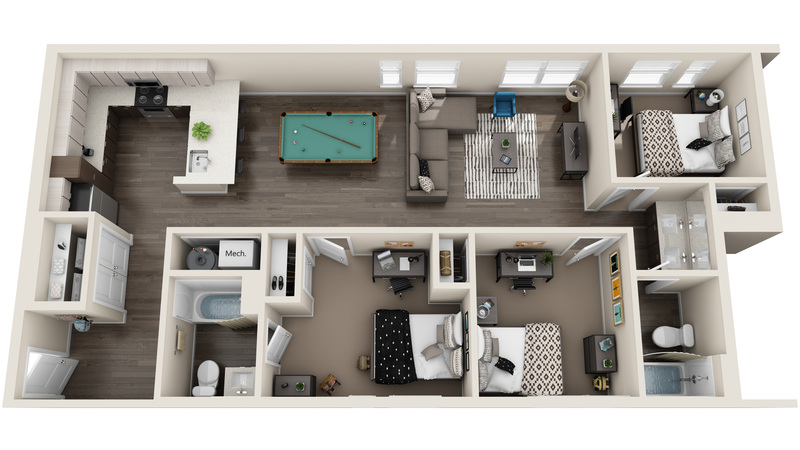 Regular floor plans are so bland looking! 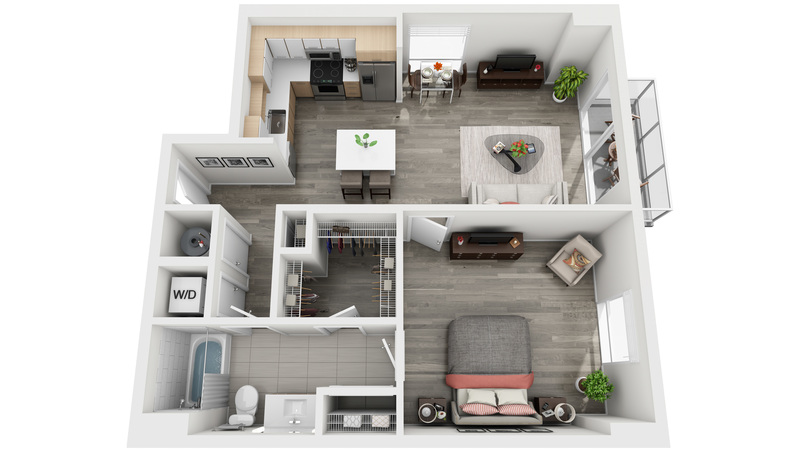 3D Floor Plans are fantastic! 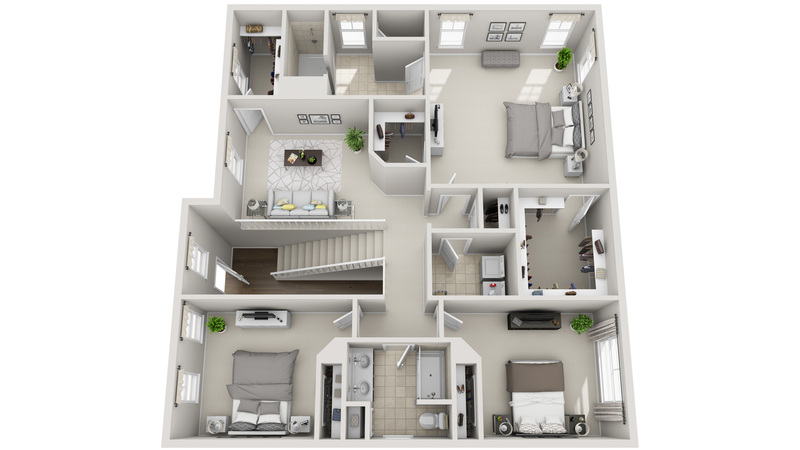 Helps a lot when we don't have a floor plan to show, and prospects can get a better visualization. 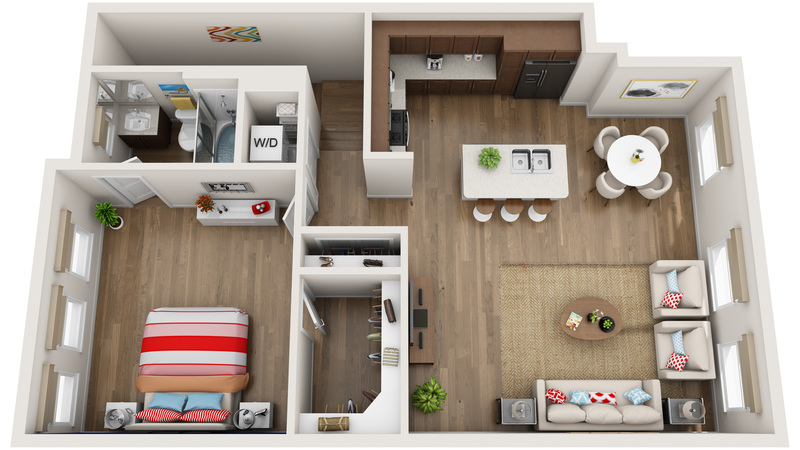 Prospects tell me its helpful for them to picture their furniture and belongings in the apartments due to the 3D Floor Plans. 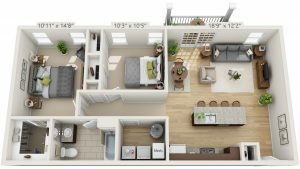 Your service and quality of work is great! You get a 10 from me! 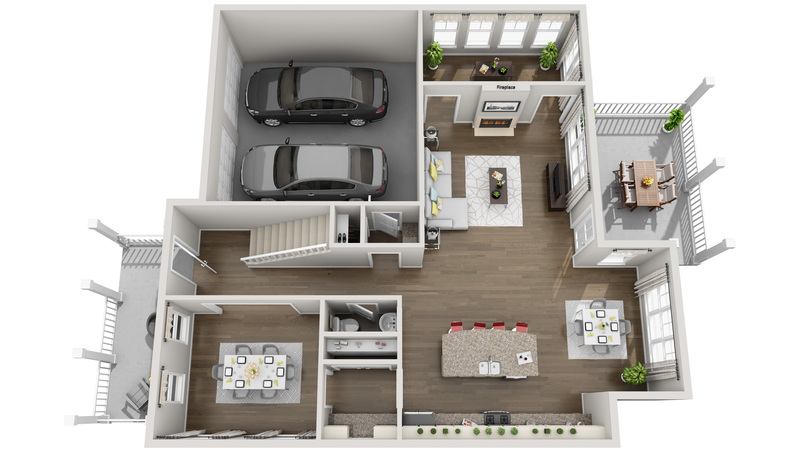 Working with the 3DPlans team on our 3D Floor Plans was so easy! 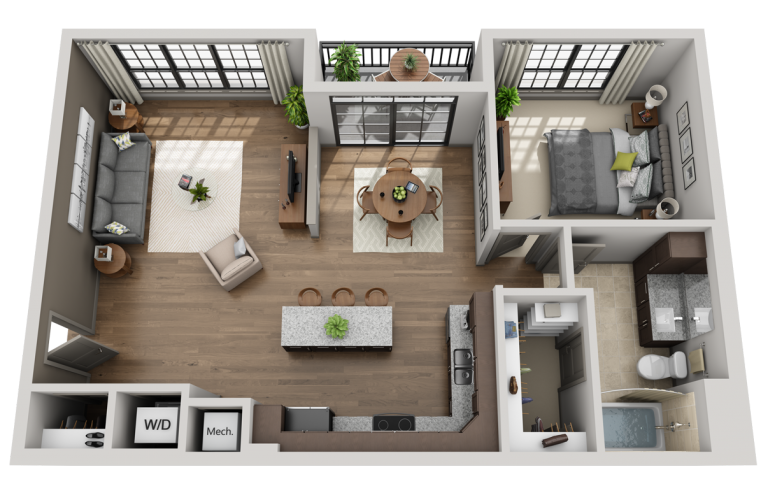 They are professional, pay attention to detail, and produce gorgeous 3D Floor Plans quickly so I could start using them immediately. 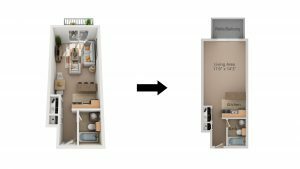 They offer several options for getting the best product, and the designs definitely help set us apart from the competition. 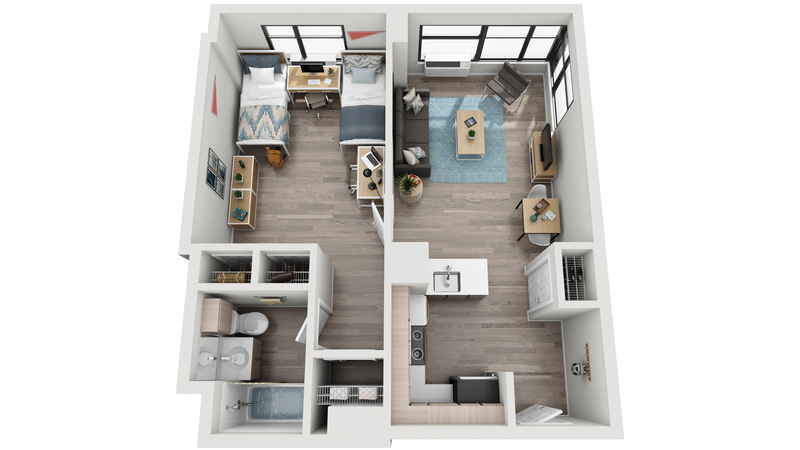 Details such as cabinets, flooring, windows, and bathrooms are matched to your units. 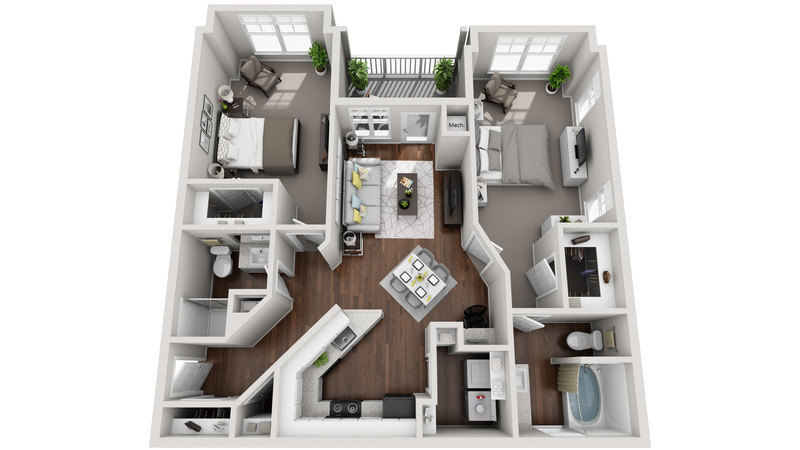 Request changes to your 3D Floor Plans until you approve. 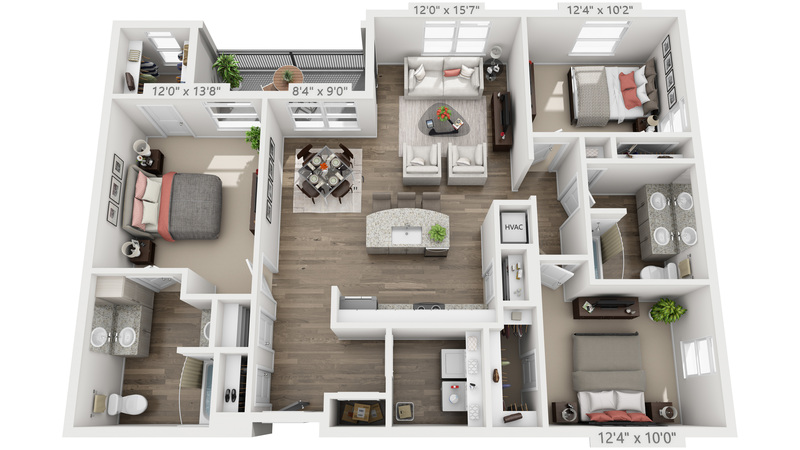 Each 3D Floor Plan includes your choice of pre-designed furniture collections. First proofs ready in 3-5 business days and revisions in 1-2 business days. Reviewed by our Quality Control Team before your team receives proofs. JPG file for web marketing and print resolution 4,000+ pixel PDF with transparent background. 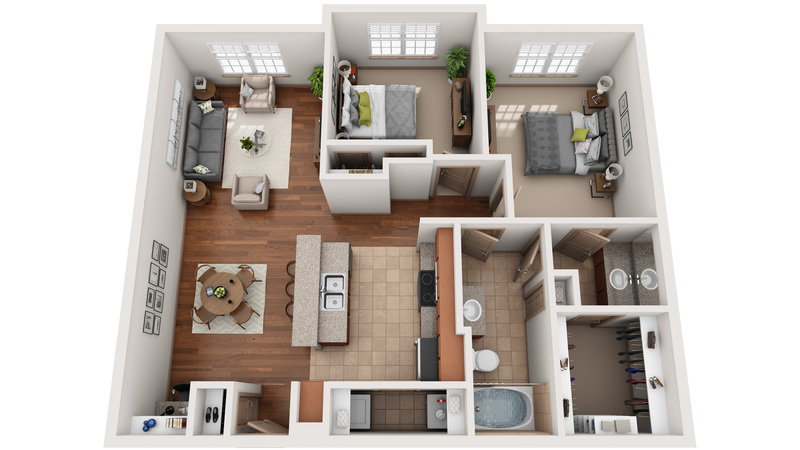 Every step along the way, a dedicated project manager is available to answer your questions. 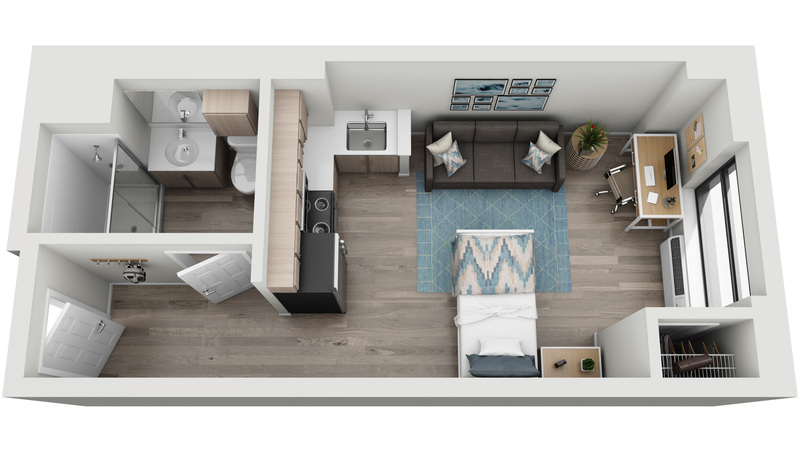 Custom 3D furniture pieces can be designed and integrated into your 3D Floor Plans using your supplied references and images. Dimensions can be placed along the perimeter walls. 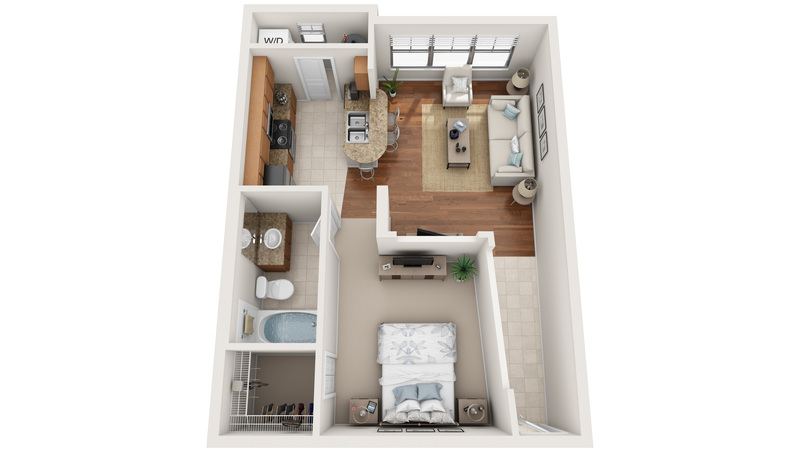 2D Floor Plans can be added to 3D Floor Plans at less than half the cost. 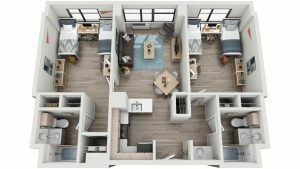 How long do the 3D Floor Plans take to design? 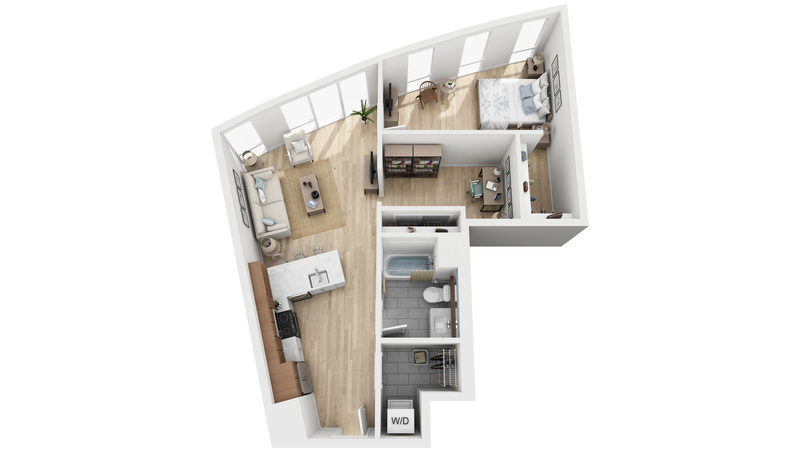 Design time depends on the number of floor plans and properties involved in the project. 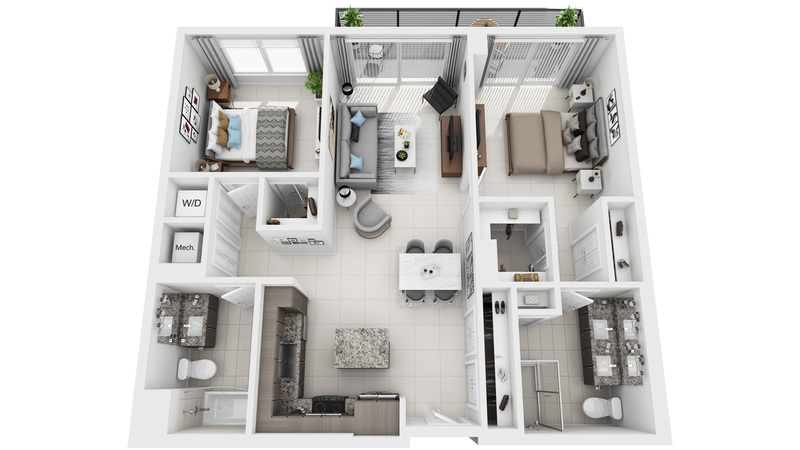 Single property projects generally take 3-5 business days to receive proofs. 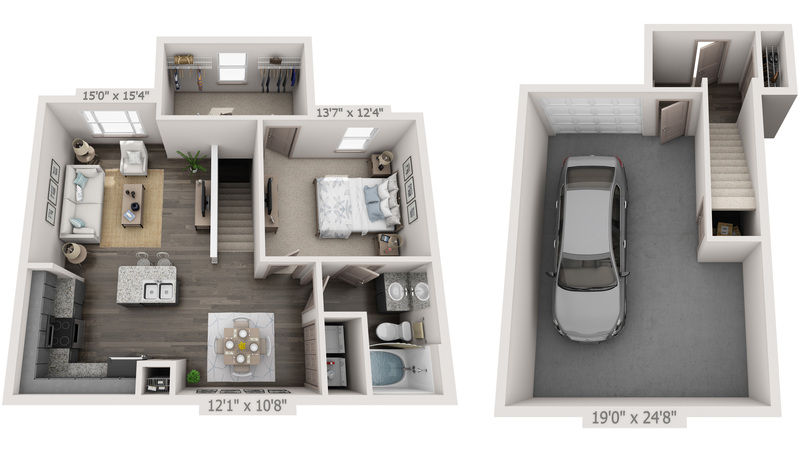 Rush projects can have proofs ready as quickly as 1-3 business days. 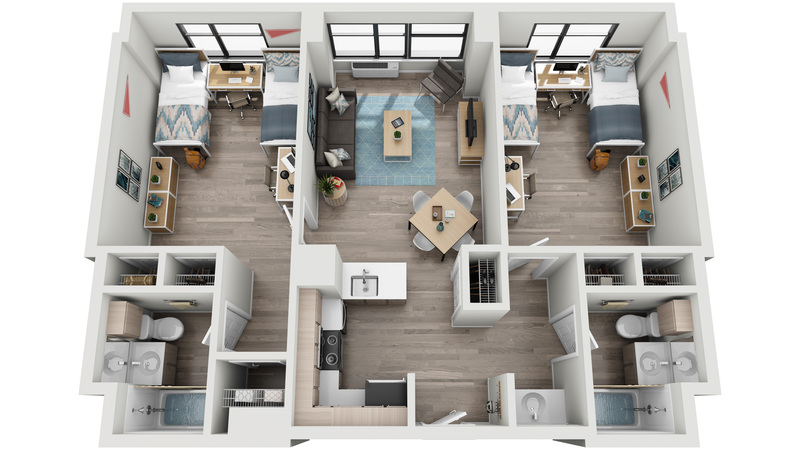 Multi-property projects can take several weeks to months. 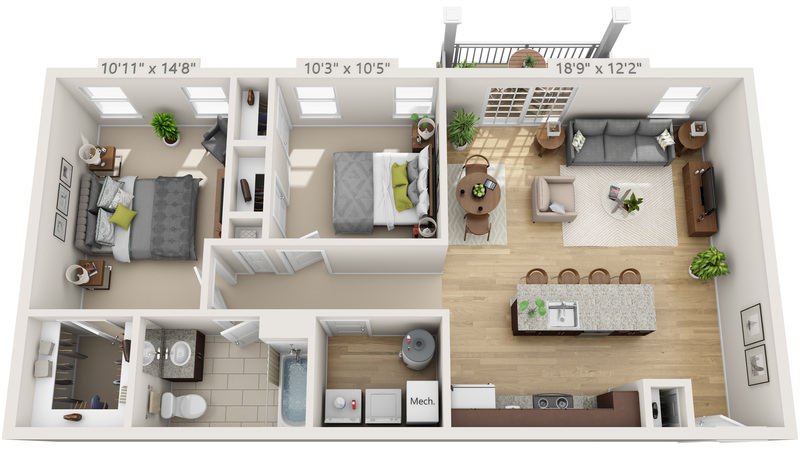 We work on projects which range in size from a single floor plan to 1,000+ floor plans. 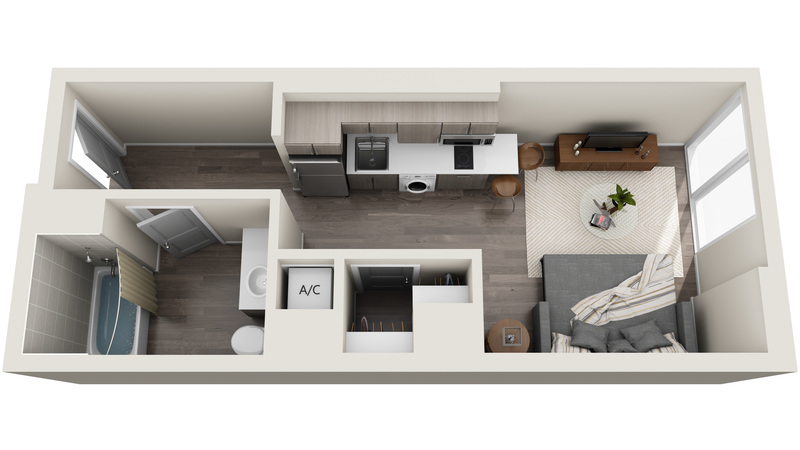 What files will I receive when the 3D Floor Plans are finished? 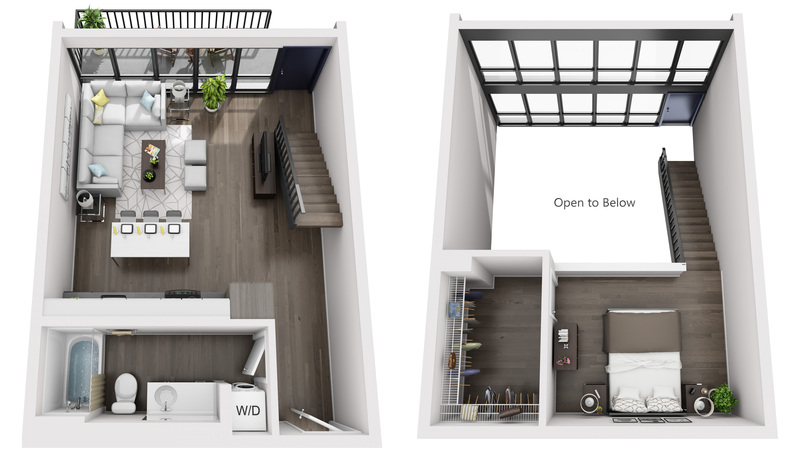 Each 3D Floor Plan includes both a JPG and 4K PDF. Examples can be downloaded here. No! 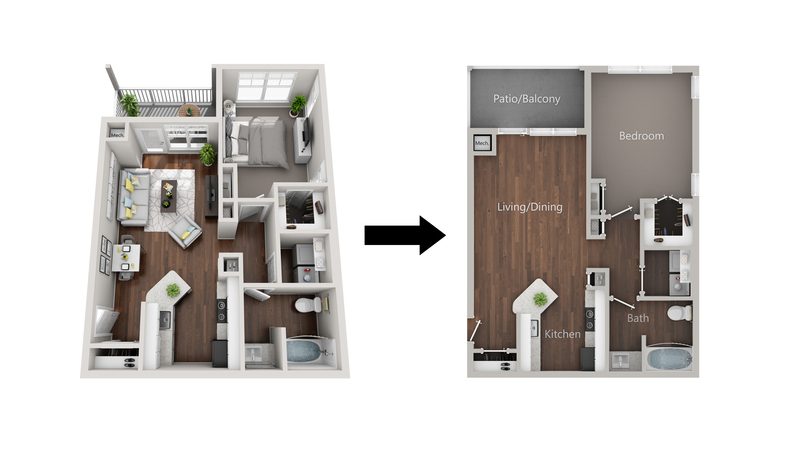 Unlike many studios, we offer unlimited rounds of changes for 3D Floor Plans until you approve. Custom furniture and accessories can be designed for an additional cost. 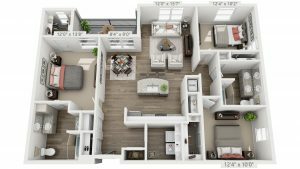 Can I mix individual pieces from your pre-assembled furniture collections? 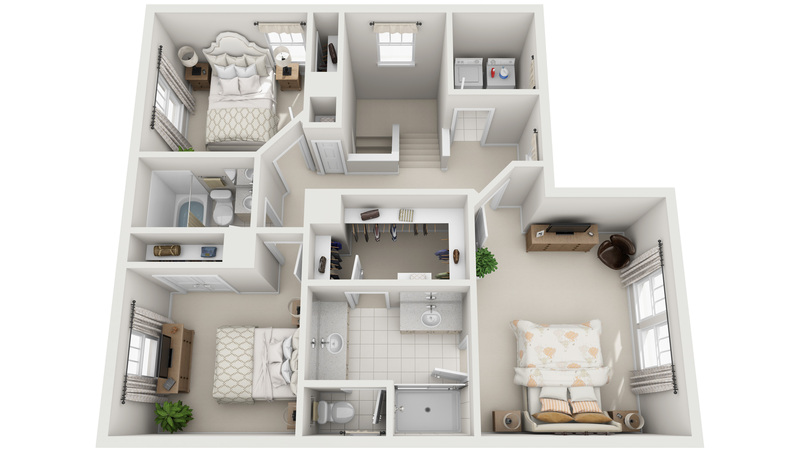 The 3D Floor Plans are decorated using our professionally designed and pre-assembled furniture collections. 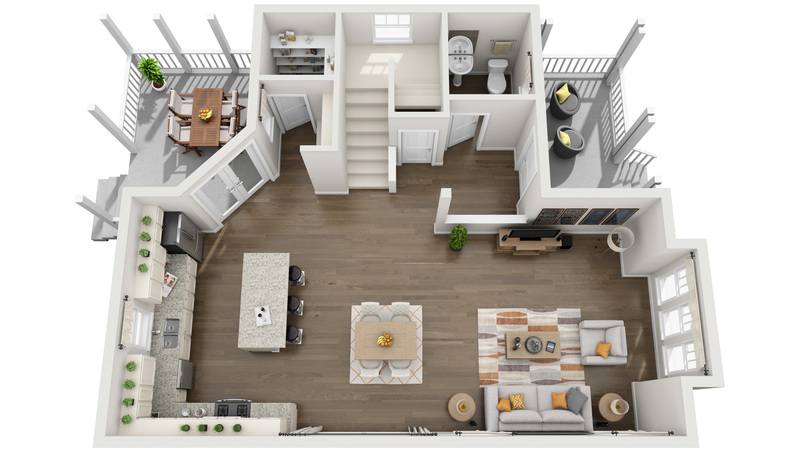 Changes to collections, such as adjusting furniture pieces, swapping pieces from different collections, and changing colors/fabrics, is an option at an additional cost. 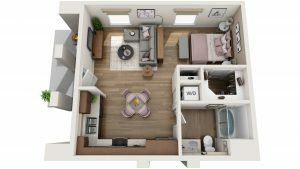 Can you custom design furniture? 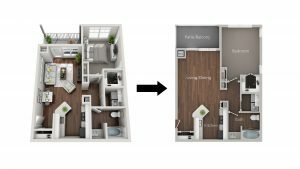 Yes, we can custom design 3D furniture pieces using reference photos of the real furniture. The cost is per furniture piece designed and most pieces are $75. 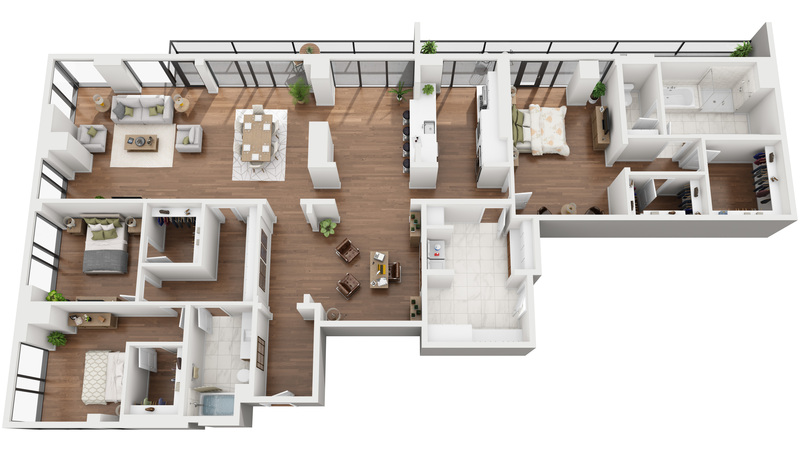 Can the 3D Floor Plans be used on our touchscreen application? Generally, yes. 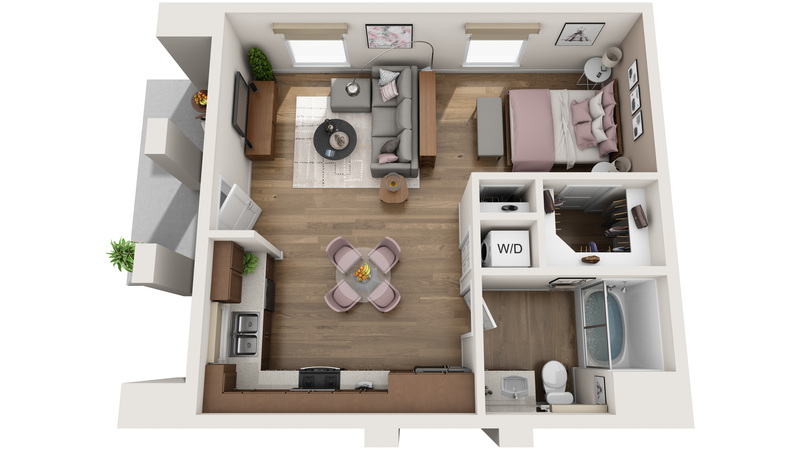 Our 3D Floor Plans have been used on various touchscreen applications such as those made by Pynwheel.com, Vision3Creative.com, and Engrain.com. 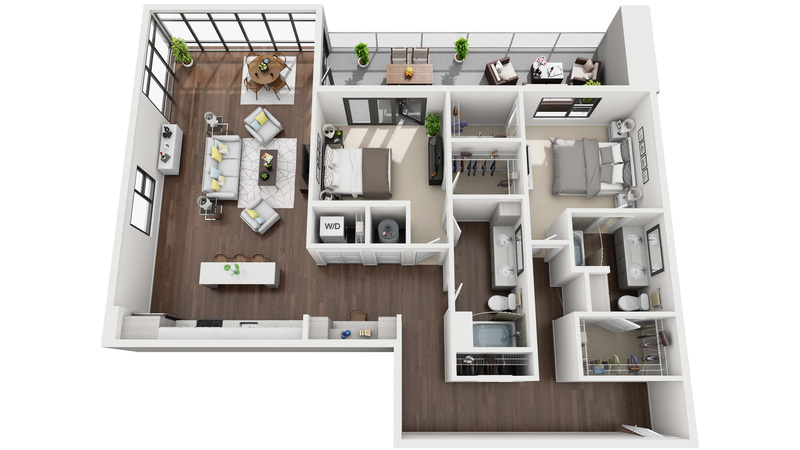 Interactive 3D Floor Plan compatibility with a specific platform should be verified before moving ahead with a project. 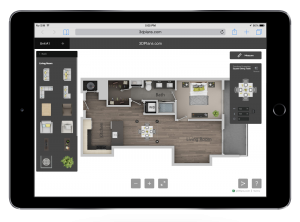 No, each 3D Floor Plan includes the files you need to post your 3D Floor Plans online or add them to print pieces. You may use these files as you wish for your properties. 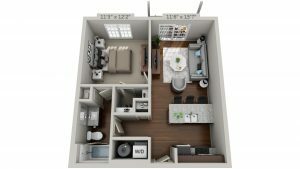 Interactive products may have hosting fees, see product descriptions for details. 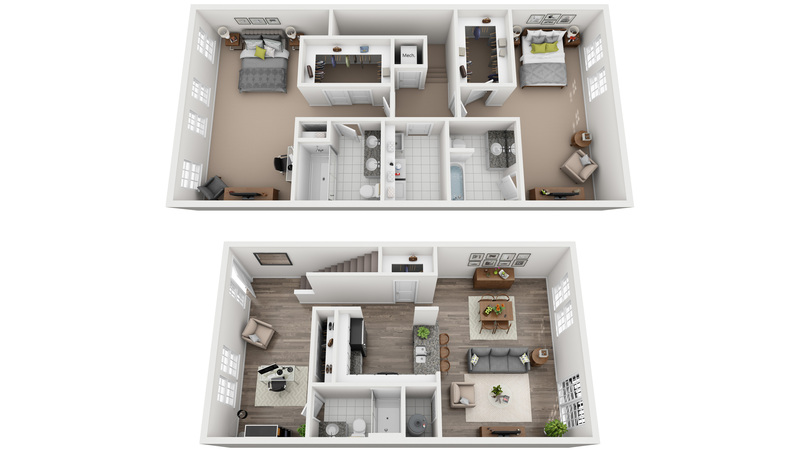 Do you offer a 'white-label' service to allow our studio to offer 3D Floor Plans? Yes, we work with many agencies around the United States. 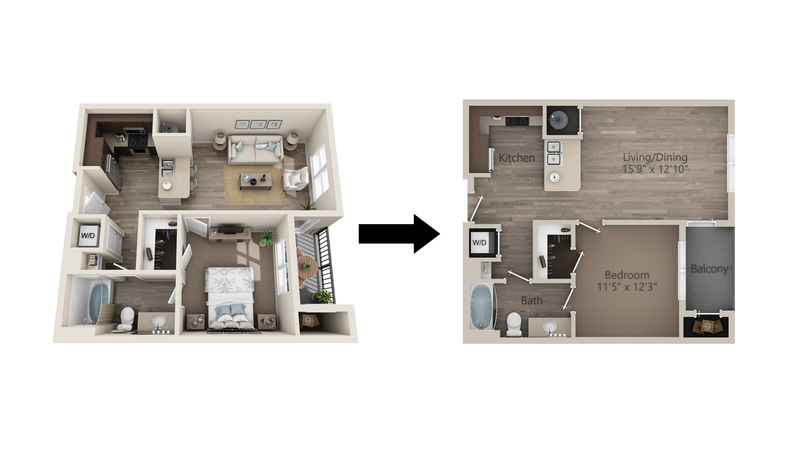 Feel free to call or email with questions regarding how to setup this process.